Select the quantity you need from the drop down menu. 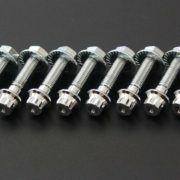 High quality M7x32 gold bolts. All bolts come with M7 flange serrated assembly nuts so you don’t have use your old ones. 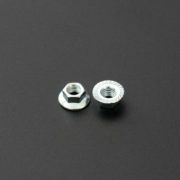 Griplow recommends replacing your nuts and bolts anytime you rebuild your wheels. Professional installation by a reputable wheel builder is highly recommended.